In cooperation with the Ministry of Agriculture of Somaliland, the EU and the Food and Agriculture Organisation (FAO) have introduced two new agricultural projects on Somaliland. 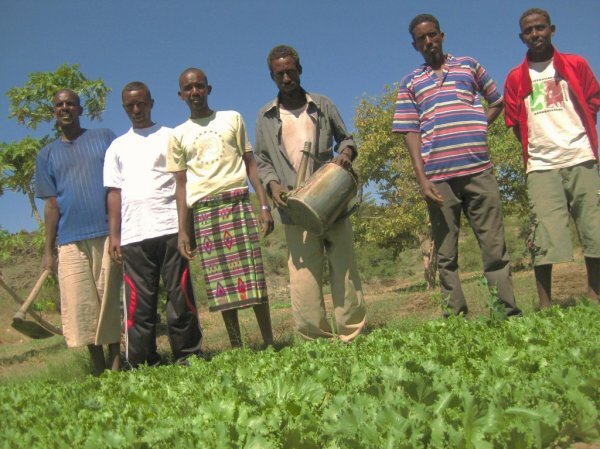 The projects aim to improve the genetic quality of seeds in Somalia and provide sustainable irrigation systems. These projects with international cooperation stand as a good example of efforts to strengthen sustainable food safety in the region. The European Union jointly with the Ministry of Agriculture of Somaliland and the Food and Agriculture Organizations (FAO) launched today two new projects supporting the Agriculture sector in Somaliland. Both initiatives, “Somaseeds – Improving genetic quality of seeds in Somalia” and “Reviving Spate Irrigation in Burao” receive a combined support of € 4.5 million from the EU. They consolidate and upscale EU support in promoting better seeds production and sustainable irrigation, building on the experience and result of previous EU funded interventions. The activities are undertaken in partnership with the FAO and the Ministry of Agriculture of Somaliland. “Those two projects are very important to boost agricultural development and promote better livelihoods in Somaliland but at the same time will greatly contribute to build resilience especially in a context progressively and constantly affected by climate change. Thanks to these projects, farmers will have access to seeds that are better adapted to local conditions, while irrigation techniques like spate irrigation will allow to mitigate the effects of floods increasing access to water during droughts” said the EU. “Somaseeds” is a National Project that has been put in place to enhance the capacity of the Ministry of Agriculture and farmers’ organizations. Through the programme, their skills will be upgraded to handle plant testing, plant breeding, basic seed production and in establishing a seed certification system. This will diversify the seed market in Somalia and make locally produced improved and certified seeds available to farmers. In turn this will reduce dependency on imports and responds to both the demand of the agriculture sector and emergency situations. “Reviving Spate Irrigation” is an initiative located in the region of Burao where 2 600 hectares and 920 households will benefit from access to water. 9 permanent primary canals will be rehabilitated and secondary canals will be maintained and excavated, based on sustainable land water management techniques, including through spate irrigation. Along with the rehabilitation, the beneficiaries will be organized and receive training for the proper use of water and maintenance of the canals and will be trained in Good Agronomic Practices. The knowledge transfer methodology will be based on the Farmer Field School (FFS) approach and the MoA staff will be the major extension agents. In addition to the rehabilitation of the Aburiin Research station, the projects output involves the establishment of the extension Centre within the Ministry of Agriculture facilities in Hargeisa, the design of the IT platform and the training of ministerial staff involved in the running of the system. “With the launch of the Spate Irrigation and Somaseed projects in Somaliland, through the generous and continued support of the European Union, FAO will continue to work closely with the Somaliland Ministry of Agriculture and local communities to support the development of market focused agricultural development, improved food security and rural incomes as part of the overall program “Reviving Somali Agriculture”, said FAO.